Popped Water Lily seeds have been an Ayurvedic superfood for centuries, and now they are available in a delicious, healthy snack form! They are the texture of cheese puffs, and are the perfect on-the-go snack or ideal in your child's lunch box. 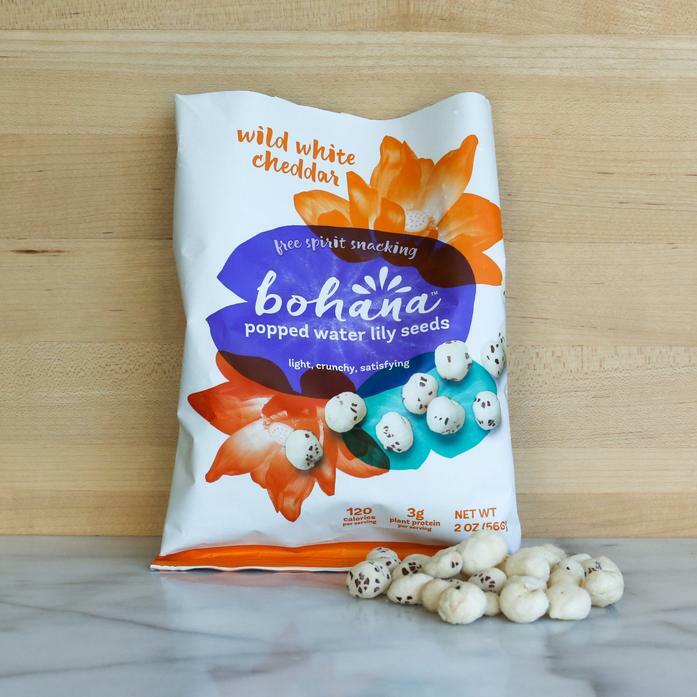 Produced by Bohana, who works directly with farmers in India to source the finest, fair trade water lily seeds. Each order contains 1 2oz bag of popped water lily seeds.